Carlo and his lovely wife, Mich! With 10 years experience specifically in new media, Carlo is one of the pioneers of the digital industry in the Philippines. His work history includes being the New Media Head of TV5, Digital Marketing Manager of Friendster, and Marketing Manager of Level Up Games. Today he serves as the Managing Director & Partner of Digit, the digital marketing outfit of one of the most awarded creative agencies in the country, DM9 JaymeSyfu. Di9it, despite being very young, has already made tremendous impact in the local industry. In its first year of operations Digit won the Agency of the Year Digital Excellence Award, one of the most prestigious honors in advertising. In the 2013 Boomerang Awards, Digit won 2 of the 5 Gold metals that were awarded. The agency was also able to sign up several of the best blue chip companies as their clients including Samsung, Johnson and Johnson, Aboitiz, PLDT SME Nation, Resorts World Manila, and Fonterra. Digit was able to reach profitability in its first year of operations. As an evangelist for digital & social media, Carlo has conducted workshops, talks, and trainings across the country for private companies, multinationals, SMEs, politicians, TV networks, churches, and government agencies. Some of these institutions include ABS-CBN News Channel ANC, the CBCP, the Philippine National Police, various Senators, and the Office of the President. Outside of advertising, Carlo is the founder and editor-in-chief of Unbox.ph, a technology and gadget website that has over 700,000 unique visitors per month. The site has won numerous awards including the 2013 Globe Tatt Awards for Best Tech Blog in the Philippines. In 2014 Carlo also launched two sites: Ungeek.ph (pop culture) and Unpacked.ph (travel and leisure). 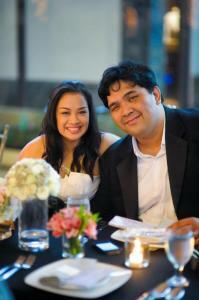 Carlo is happily married to his girlfriend of 10 years, Michelle.